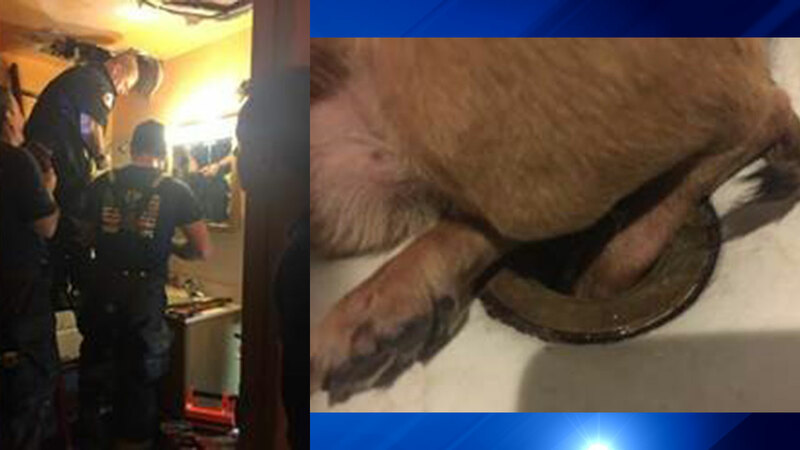 CHICAGO (WLS) -- The Chicago Fire Department will get an award from animal rights group PETA for the rescue of a 5-year-old chihuahua whose foot was stuck in his family's bathtub drain earlier this month. On May 6, the family contacted PETA for help, and less than 20 minutes after they alerted the fire department, firefighters were on the scene. It took two hours for a crew of 16 people to cut through the ceiling in the apartment below and free the dog. "Chicago's bravest are also Chicago's kindest, as these firefighters didn't stop working until this little dog was free from a stressful and painful situation," said PETA Vice President Colleen O'Brien in a statement. "PETA hopes their compassion and know-how will inspire others to come to the aid of animals in need." Moky spent almost seven hours with his foot stuck in the drain-but thanks to Chief Mark Altman, Battalion 8, Engine 76, Truck 35, and Squad 2, he was finally freed. The firefighters will get the Compassionate Fire Department Award, along with a box of vegan cookies and a cookbook with plant-based food recipes.